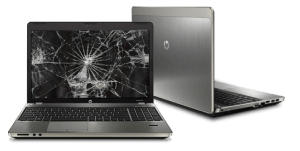 Laptop screen repair Miami – Screens are the most delicate part of the laptop and these can get damaged easily, so here in Miami, we offer Laptop screen repair services. Our laptop screen repair Miami service is one of the best repairing services in the area. People usually get disturbed when the laptop screen is damaged by fall or by any mean. So, you don’t need to worry that your laptop is now dead, you can repair your laptop screen and it will work fine without any issue because of our high-tech repair services. We always aim for the complete satisfaction of the customer, and that is only possible with professional, reliable and experienced laptop technicians. The experts that we have hired are certified and experienced in laptop screen repair, and that is why we provide reliable services to you. Our rates are affordable and we use original parts for screen repair. Most of repairing services install low-quality screen parts which are cheaper and lack quality. But we use original replacement parts for crack screen repair. Laptop screen repair is a hard task and if the screen repair expert is not good at his job, then it may damage your laptop’s screen completely and it will cost you much more. Our laptop repair experts are experienced and certified and hence we can give you guarantee that our services won’t disappoint you here in Miami. We have all latest equipment required to provide high-quality services and quality control and that is why we are known here in Miami. The procedure is very simple at customer’s end. You will call our customer services and book your appointment and then deliver to us and we will fix the cracked screen as soon as possible. Our technicians are highly trained and hence you can expect your laptop fix faster than any other laptop repairing service here. Our laptop repairing team is dedicated to the work and try to resolve the issue in a best possible way. However, if you still have any issue with laptop screen repair or you are not satisfied, then don’t need to worry as we provide guarantee! If you face an issue, then just contact our Customer services and we will resolve your problem as soon as possible. We offer the Top-notch customer services here in the Miami. Our customer service representatives are always there for your help regarding Laptop screen repair Miami. If you encounter any issue while using our services which include laptop repairing, screen repair, laptop LCD repair, you can freely contact our staff. Laptop screen repairing was never so easy. We won’t waste your time as we know how precious your time and laptop is. So, you will find our services top of the line and we hope you will use our services again.